felt so comfortable with Olufemi that he asked for me to leave!! There are so many fantastic images to choose from that we really are spoilt for choice. I would recommend everyone to her as Olufemi is top class with her customer service as well as high quality images. Thank you! of them blown up for my living room wall lol, I also loved the little keyring you added I thought that was a very nice touch I love it! I thoroughly enjoy my session and felt you went above and beyond to make my pictures turn out amazing and will deffo be back for the newborn shoot. recommended. 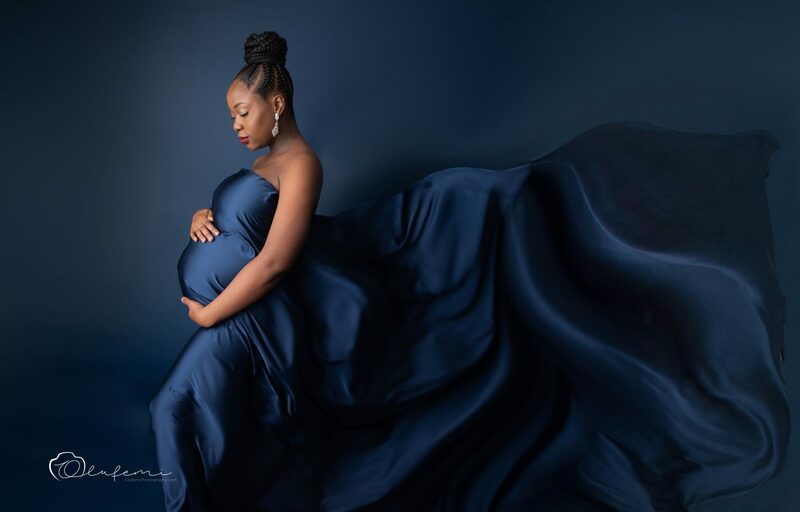 I was so pleased with the fun and relaxed experience, that I went ahead and booked my babies newborn maternity shoot with Olufemiphotography also! We are so pleased with the outcome. They are very flexible and open to explore your ideas. Professional, patient and very reasonable rates. Also the turn around times to receive your images is super quick. I am about to call them to book my family Christmas Photoshoot! Looking forward to having the images on the Christmas cards we send out this year. I am a extremely satisfied and happy customer. I have recommended Olufemiphotography and will continue to use them. I saw some of Olufemi’s work on Instagram. I loved that I could click a button and I was directed to her website where I could directly book her services. From start to finish, it was a professional service with great pictures at the end. It’s also really nice to get all the pictures digitally as well as in print. I will definitely be booking with Olufemi again. I booked a family photoshoot with Olufemiphotography and from the first point of contact I received clear concise information about what the session would include, booking information and requirements and from then until the day of the shoot I had regular updates and quick responses to any questions I had. On the day of the shoot Olufemi was set up and raring to go. She made us all feel comfortable & at ease & quickly made a connection with our 3 month old, which transpired into the amazing photographs she captured. After the shoot we received the proofs quickly and struggle to select which photos to print as there were so many good options. Once selected we were sent the print in record time. We had a amazing day on the shoot & the customer service right till the end was 5 star! We have already looked into working with Olufemiphotography at forthcoming events due to the professionalism & amazing pics received. Well, what can I say? Olufemi is AMAZING and I LOVE my family pictures! She was always accommodating and understanding leading up to shoot, due to me being ill I had to postpone our shoot and change up a few things. When we arrived at the studio, she was so welcoming, my family and I felt relaxed. There were drinks and snacks on offer; since I was pregnant and had a 3 year old I was grateful for this. My daughter didn’t want to play ball and was being very silly, my husband and I were getting annoyed and frustrated. Olufemi took the time to try and build a relationship with my daughter, playing and talking with her, exhibiting and tremendous amount of patience, this resulted in some amazing pictures. Towards the end of the shoot my daughter was telling Olufemi what poses she wanted to do! Olufemi helped and guided us to find the right poses but always encouraged is to be natural. She allowed me to bring my own props but also had her own on hand too that fit in with the direction I wanted to go. She didn’t stop clicking the camera shutter leading to her capturing some very natural family moments and beautiful photos. Overall, I can not recommend Olufemi enough, she is professional and welcoming, her prices are reasonable and the pictures are worth every penny. I will be employing her services again as my family expands and grows, my home will be filled with photos taken by Olufemi! Nursery. I can say I am extremely delighted with her level of work. I have found Olufemi to be very professional and easy to work with. The photo’s she has done for our company of children in our setting have been to a very high standard and Olufemi showed a very high level of patience when trying to get the photo’s themselves as we all know children don’t sit still to often. Out of the photo’s taken majority of our parents placed a order and are very happy and satisfied with the service, Including the efficiency of the orders and the prices. I choose the Bump to baby photo shoot. Olufemi was very professional during both shoots. During the Bump shoot at the studio, it was a very relaxed atmosphere and we had a lot of fun. The photos were lovely and I was spoilt for choice. During the baby shoot it was done in the comfort of my house. Olufemi was very patient with us. The photos were lovely and once again I was spoilt for choice. Olufemi was kind enough to give me a variety of different choices on the photos and she went above and beyond to ensure that I was satisfied with the photos. I would highly recommend this package to anyone and would guarantee that you will not be disappointed. We booked the shoot for our daughters 1st birthday and had the most AMAZING day based in comfortable and warm surroundings. Olufemi is welcoming, professional and was very patient with our daughter who was very tired at the time of the shoot. She sang along with us to entertain her and provided a beautiful cake and such creative props. Every single picture was beautiful and she captured some lovely natural family shots and even the shots of our daughter crying were perfect. Our pictures were ready to view within 72 hours as promised and were received shortly after. BRILLIANT SERVICE, definitely a yearly shoot being booked again, professionalism and refreshments. you have captured her personality so perfectly in each shot! Thank you so much I will 100% use you again. Olufemi. She put on my daughters favorite music and played with her first to allow my daughter to feel comfortable. Olufemi provided snacks and beverages for the adults whilst we we waiting and the best part of all had edited and sent over all the photos within two days of the shoot. Normally you have to wait weeks for the final photos. The price was extremely reasonable and I will be using her service again and recommending her to family and friends. Femi was amazing and extremely professional. She worked well with the children getting their attention and focused them enough to get amazing pictures. The phone booth was a great concept to have at my mothers 60th birthday party. ……. her charges were extremely within budget and accepting payment via bank transfer went down with our guests who seized the opportunity to take some great family photos. I called on Olufemi after discovering her account on Instagram. From start to finish she was professional , welcoming and accommodating .Olufemi was BANG on time …when she came she set up her portable studio in a space where she thought had the best lighting and visuals. Olufemi didn’t only capture people enjoying my sons 1st party ,she captured beautiful fine details that showed what is important to me. For example I have one picture where she captured two people holding hands during prayer another picture where my son was the focus blowing out his 1st candle and another one of a brother and sister helping each other to take of their shoes to play on the bouncy castle ….. Again small things but captured the love which was in the room. Olufemi had a joyful and energetic sprit, vibsing to the music . She was relaxed and friendly …. Olufemi sent me 3 beautiful printed framed photos and the rest on a usb. I am so happy I used her and looking forward to working with her again . I booked Olufemi for my AW16 look book for my latest plus size collection and couldn’t be more happy with the service shes provided from lighting, movement direction and her eagle eye for natural light and perfection – these key factors along with Olufemi’s natural interest/positive energy showcased photography in its natural art form from an original artist. The personal touches that Olufemi offers is something rooted deeply within her passion. Her attention to detail and fast turn around – always indicated that money is not at the forefront of her craft. Olufemi is able to pull out confidence from any individual – this paired with her warm smile and relaxed work approach – easily confirms she is the go to woman for fashion shoots. We hired Olufemi to take some photos at our daughters christening. Olufemi was great! she was very friendly whilst remaining professional. We got loads of amazing photos to remember our daughters special day. Brilliant value for money and we would definitely hire her again. I booked a photoshoot for my toddler and new born. They were made to feel like stars. Femi is very personable and creative, making them both feel so comfortable. The whole experience was extremely pleasant and I look forward to doing many more shoots with her. Olufemi was hired to shoot the launch evening of one of our biggest firm projects. Not only was the quality of her photos outstanding but her professionalism and infectious kind personality led the way to capturing a truly fantastic event. We hope Olufemi will continue to shoot for us year after year.